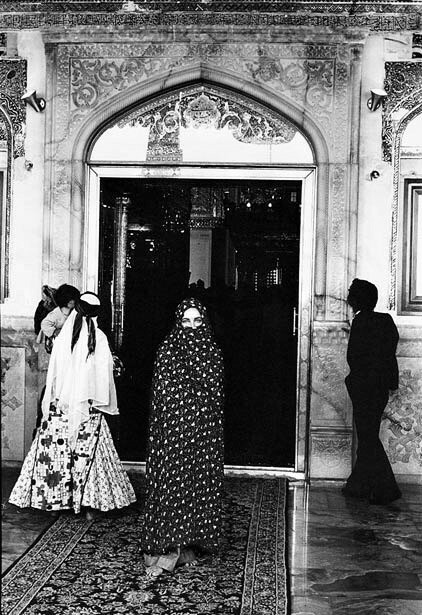 In 1976 Elizabeth Taylor (February 27, 1932 – March 23, 2011) visited Iran for the first and only time. Accompanying her was Firooz Zahedi, today a successful Hollywood photographer but then a recent art school graduate just learning his craft. Iran provided an exotic and engaging locale for Taylor, a tireless global wanderer still at the height of her fame. 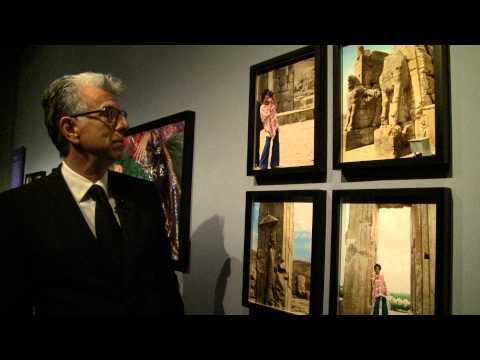 For Zahedi, who had left Iran as a child, this was a reintroduction to his own country, which he experienced not only through the camera lens but through Taylor’s eyes. It was a remarkable journey for both as documented by Zahedi’s vivid photographs, shown together here for the first time. The pair traveled to the main tourist sites: ancient Persepolis, where the Tent City erected in 1971 for the 2,500 year celebration of the Persian Empire was still standing, Shiraz home of poetry and wine, and Isfahan renowned for its beautiful tile-clad buildings. Grouped in narrative fashion, the images depict people and places with the actress as tourist but one so iconic that she is never anonymous even wrapped in a chador. In the Isfahan bazaar, Taylor was attracted to and purchased a traditional tribal outfit. 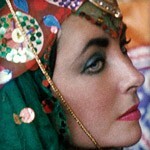 Dressed in this colorful costume and in full make-up, the film star posed as an Oriental odalisque, an especially suitable persona for one who was herself a male fantasy. 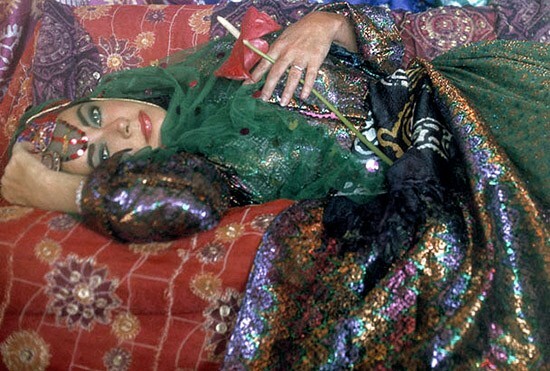 Though Zahedi was to photograph Taylor many times in the years following their Iran trip, none are as personal, candid, or creative as these unique images.